"We have been long time customers of Motivation Industries. They have made it so easy to get what we need, in order to work efficiently and safely. Their commitment to quality is above the rest, assuring our equipment is the best available. We will continue to turn to Motivation for our material handling equipment in the future." 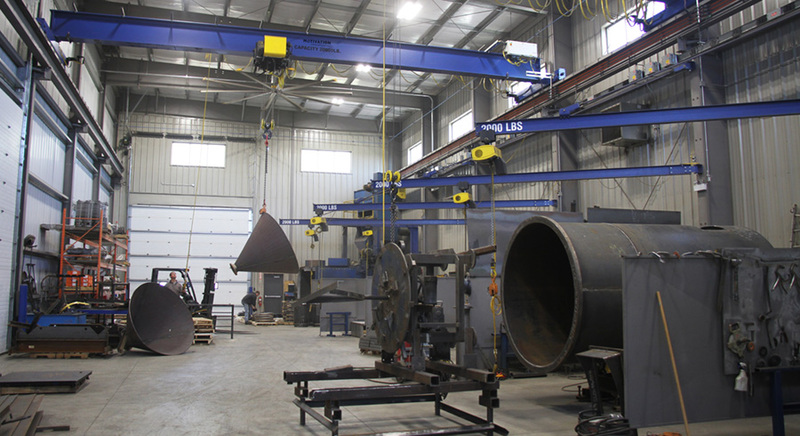 Starting back in 2006, Motivation Industrial Equipment manufactured and installed the first of 5 motorized gantries at the Magna facility In St. Thomas, ON. 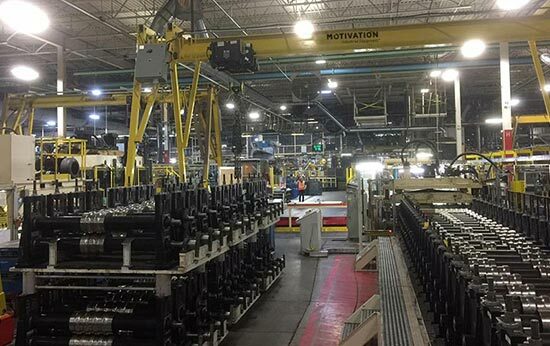 Its simple operation, reliability and ease of use has prompted Magna to have a further 4 motorized gantries installed. The most recent being a 20,000 lb gantry specifically designed to lift dies for the roll forming process. Equipped with anti-collision devices, remote control operation, safety horns, lights and mirrors, the gantries have been critical in the movement of the dies throughout the Magna facility. A rail system was also manufactured and anchored to the floor for smooth and precise movement of the system.